Orcs are vicious and mean, and when it comes to killing, it is not so much about a quick, clean end as it is about a long and brutally painful one. That is why a true orc prefers a rugged weapon like the Schlachda LARP Orc Dagger. This LARP weapon is made from a specially designed, injection-molded foam with a strong fiberglass core. This core makes it both flexible and highly durable while still keeping it safe for use in LARPing, theater, staged events, and more. 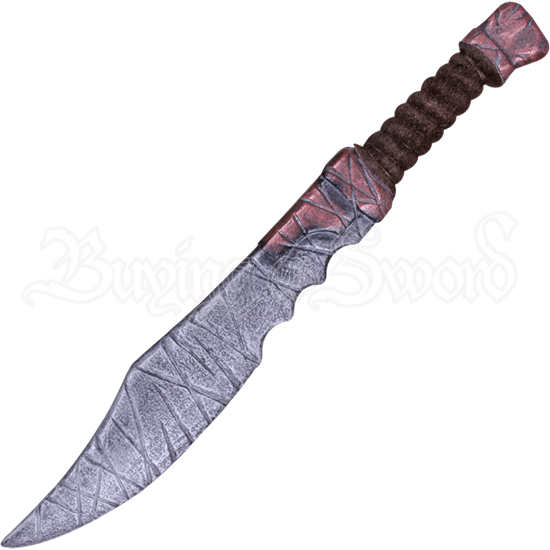 The rough, clip-point blade of this weapon features serrations near the hilt, and its entire length is covered in crude scrapes and slashes. Its handle, designed to resemble copper, is wrapped in twine, making gripping easy. 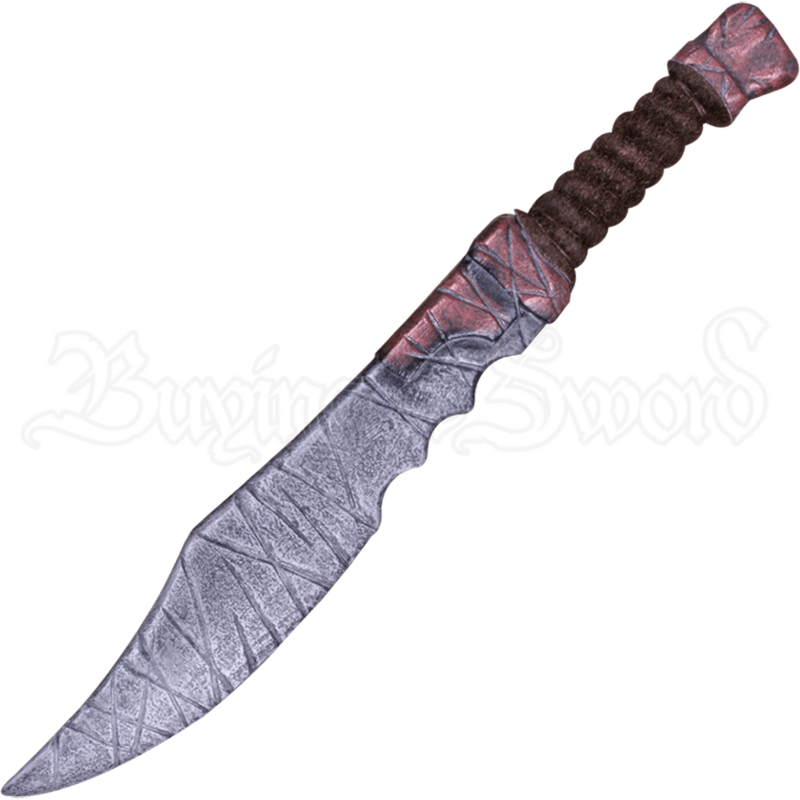 For any orc or goblin looking to complete their armoury, few weapons are as perfect as the Schlachda LARP Orc Dagger.